Morning, Sorry I've not been around since back from Holland and Egypt but I have had good reason... decorating my new studio and starting to move in! I'm nearly done so will have a few pics the end of this week! The stamps will be available to buy on the website from midnight on Friday August 1st (UK time) along with new Christmas paper pads and some useful clear stamp sets! 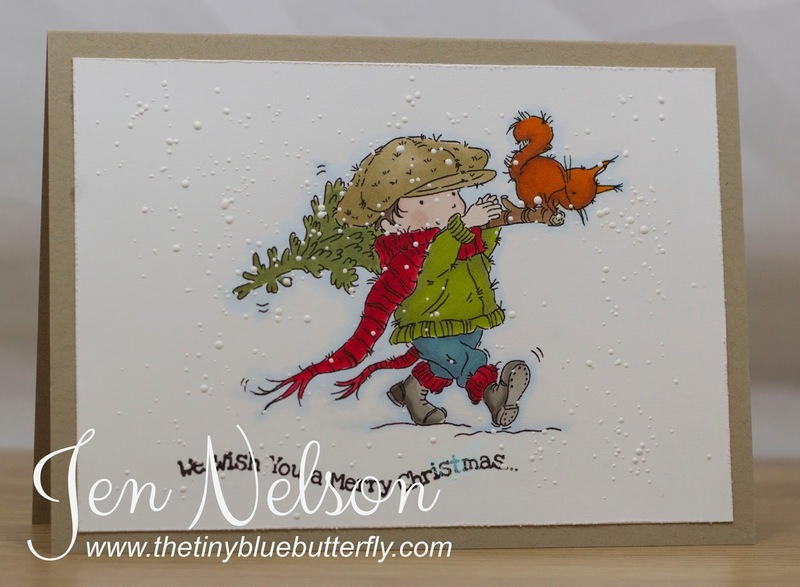 You know the score, you need to ‘hop’ from one blog to another following the links and leave a comment on each card, there is loads of inspiration and fabulous cards along the way in many different styles! I have used the fabulous Perfect Tree Image... I just love these vintage boys! Morning.. ok so I have gone a little Christmas crazy but I found this cute guy from Pink Petticoat coloured in when going through some stuff so decided to make him into a really quick card! Have a great day.. I'm back tomorrow from my holiday... fingers crossed they are fitting my fireplace before I jet back off to Holland on Thursday! Morning... Only a couple of days left for my Holiday but I have another LOTV sneak peek for you today. 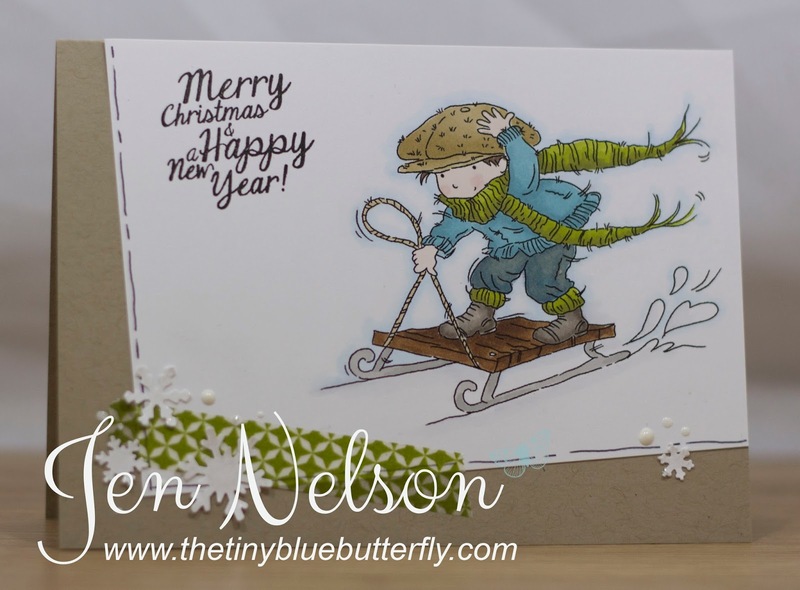 This is Sledging Fun from the new Vintage Christmas Kids release. The sentiment is also from the new clear set.. I finished him off with some washi and Martha Stewart snowflakes! Morning.. 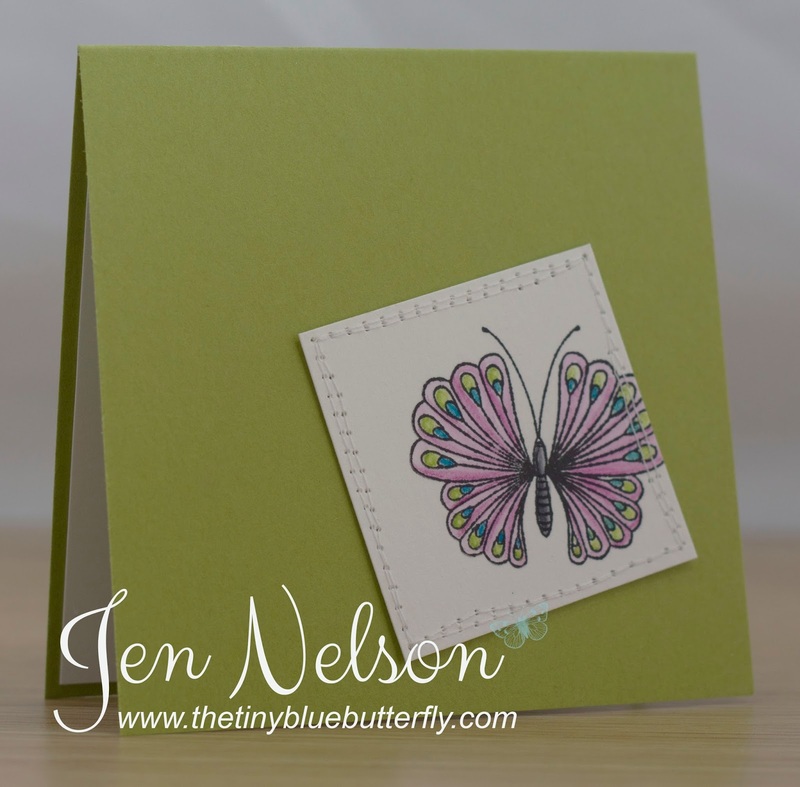 So I had some of the butterflies left that I coloured in for this months CBS release and decided to make into a quick card.. I also used the friend die again too!! Sorry the photo is a bit pants not sure what was going on! Morning... So I'm mid holiday but I do have another LOTV sneak peek for you today. 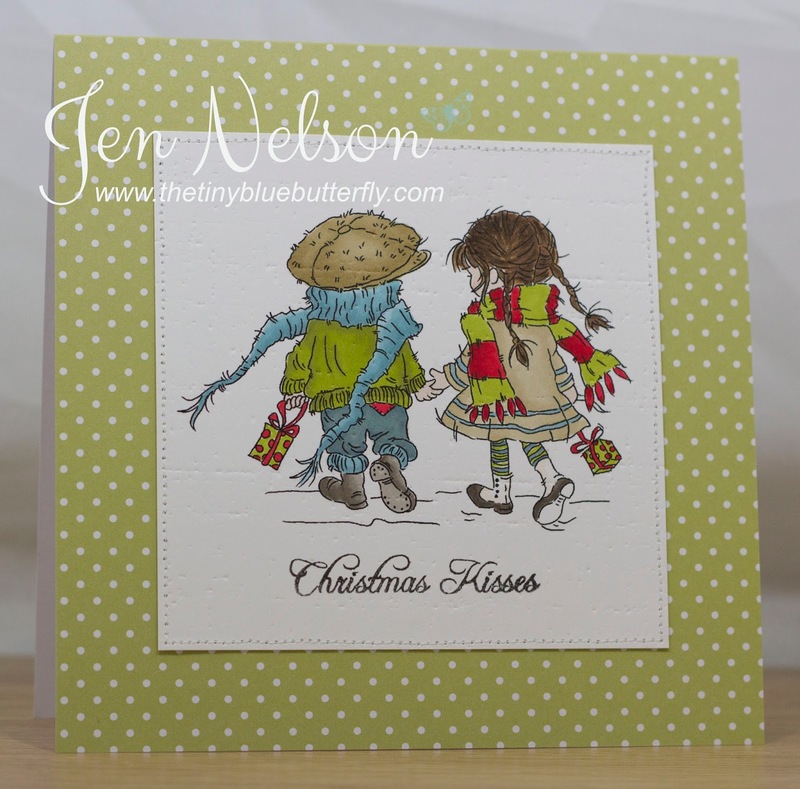 This is Winter Walk from the new Vintage Christmas Kids out at the end of the month. I coloured this cute couple in promarkers and then ran it through the big shot with the PTI Linen texture plate! Today I have the final card from Aprils Card Making and Papercraft magazine. This one is really simple and uses the LOTV baby shoes. 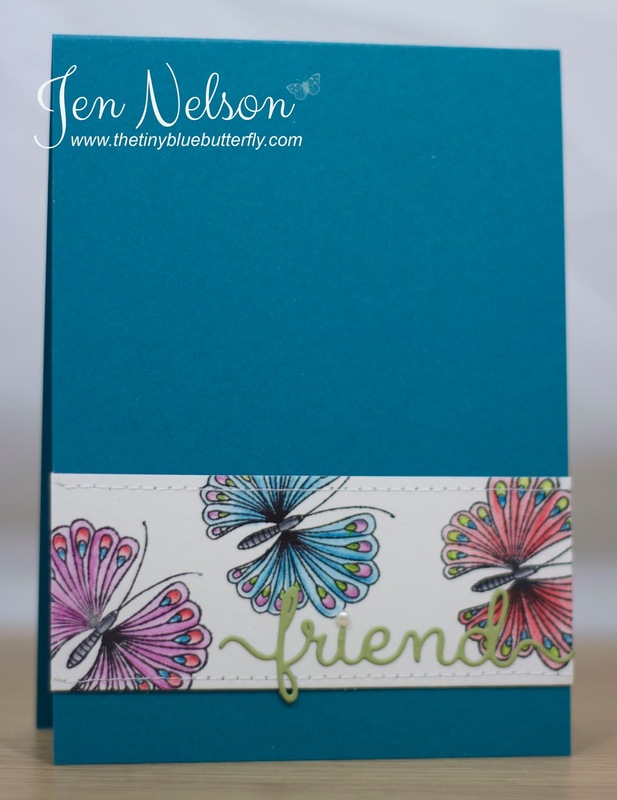 The sentiment is from Stampin Up! Morning... Hope you are having a great week. 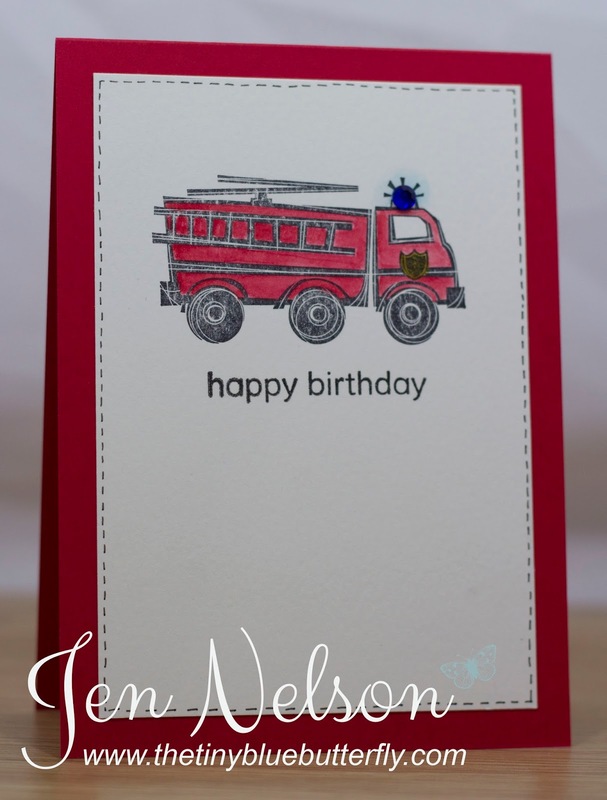 I have a little card using the fire engine from an SU set I picked up from the retiring sets in June.. 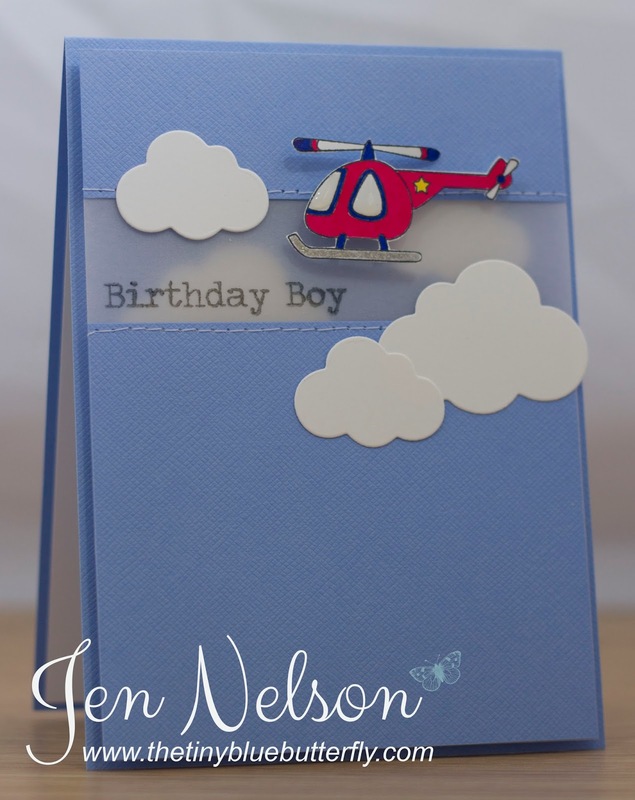 Thought it was perfect for little boys cards! It's finished off with a blue gem and a sentiment from Clearly Besotted. I'm hoping to have seen some cool things whilst diving this week.. Will try and add some photos!! 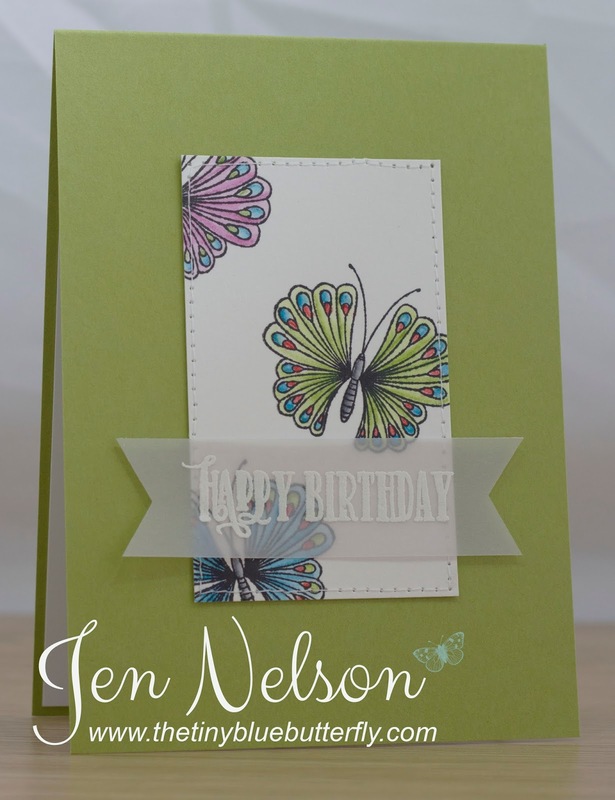 I love vellum and this was a really quick card I made when making a few others earlier in the month. 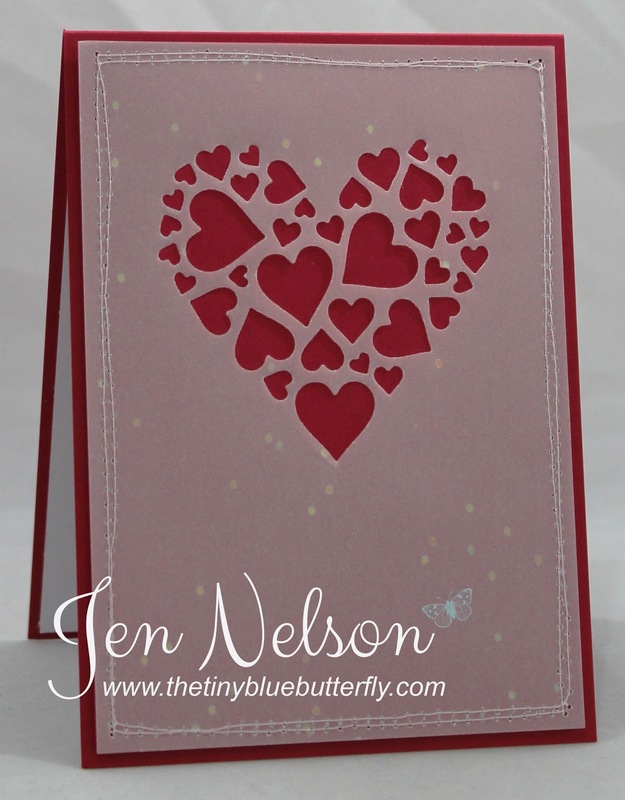 I simply cut out the Impression Obsession Heart of Hearts die from vellum and then stitched it! Morning .. So I have a little sneak peek for you this morning from the new LOTV Christmas stamps due out at the end of the month.... 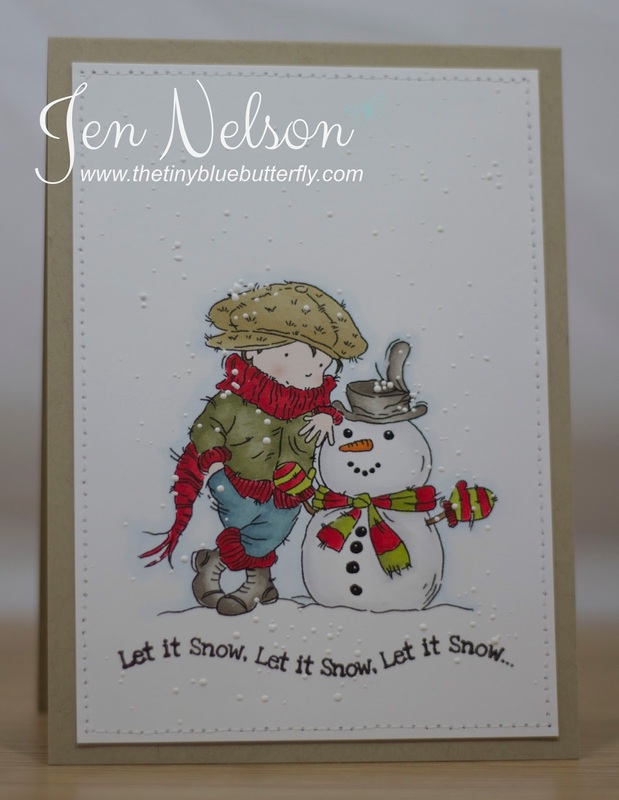 This super cute guy is My Snowman Friend and is from the new Vintage Christmas Kids release. The sentiment is also a new clear set being release!! I even got the promarkers back out again... actually really enjoyed using them so you will definitely see more of them from now on! I'm off to sunny Egypt in about 6 hours so apart from a few scheduled posts I'll be back later next week. Morning LIMettes.. It's One Layer Week (everyone's favourite I know!!) at Less Is More this week and we have a really fun theme for you! We want to see you adapt a fingerprint!! My mojo really is back as I somehow managed to pull this card together late last night since I forgot it was One Layer Card week ... I really love how it turned out and had so much fun with this one!! Even though I look like a suspect with fingerprint patches now!! 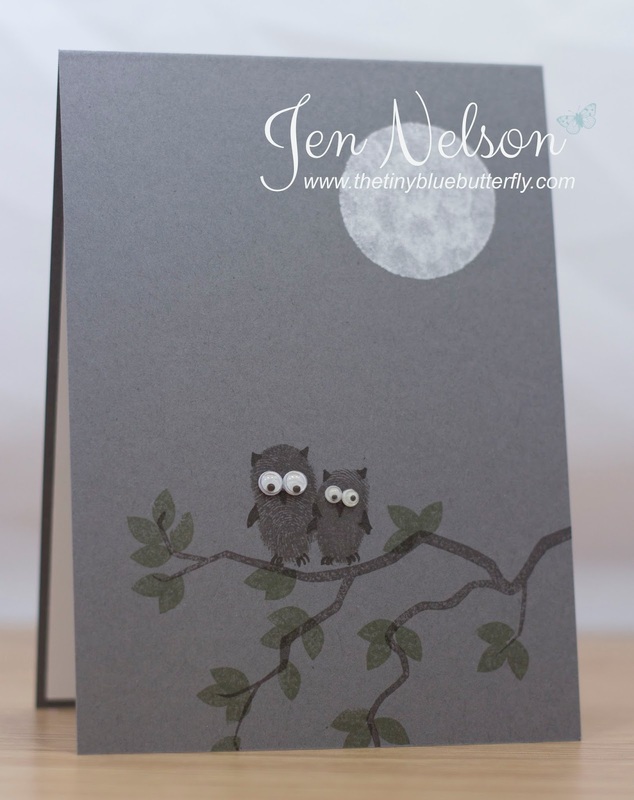 I used espresso truffle memento ink for the fingerprints onto Basic Grey card stock from Stampin Up.and then stamped the branch from Love Blossoms and the little leaves from Design A Tree (both Clearly Besotted). For the moon I punched out a circle from scrap card and then used Unicorn White Hero Art ink pad and filled it in with finger prints. It's finished off with some wiggly eyes...and a few pen strokes on the owls!! I'm hopefully helping my brother finish painting his house today and then Lizy is round for dinner later.. Fajitas.. one of our favourites! I'm off to very sunny Egypt this week so I will try and visit as many of you as I can... Have a great Saturday! Morning.. Well I actually have a card for you today... I was hopping around last night and came over a few challenges and instantly had an idea.. Don't you just love it when that happens!! Sorry photos are still completely useless.. doesn't help i'm trying to take them over boxes out of the expedit! I'm so excited to finally get this done, but have spent most of today getting rid of black soot from what seems like everywhere. and make a few more colours!! Morning.. 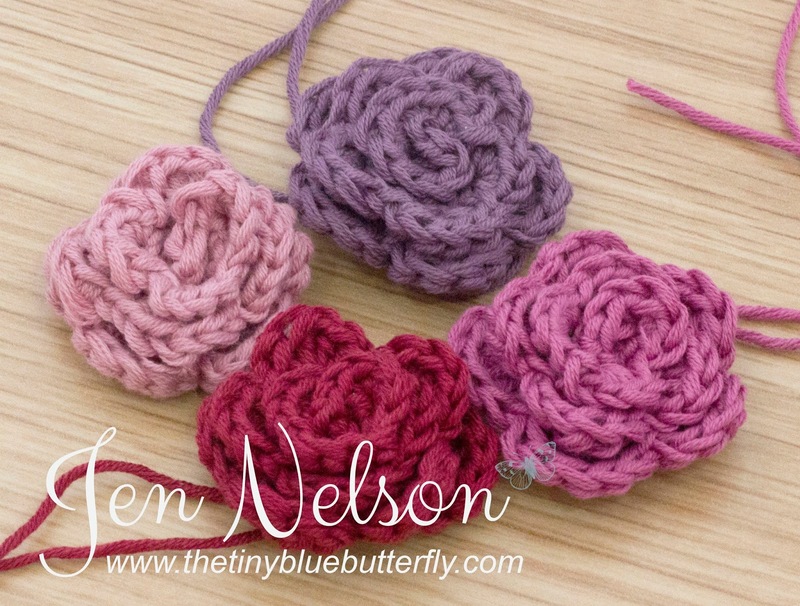 So I do have something a little different for you today... my attempts at crochet flowers. A few weeks ago when at Rachel's she showed me the basics of a couple of crochet stitches and after 4 or 5 squares of stitch on stitch when I went on Sunday we decided to try a little project instead.... I had seen these flowers on Pinterest and away we went! Here are my attempts so far.. the pale pink is the one from Sunday, the other 3 from last night! I'm planning on adding more crafty non card making projects on here so would love to know what you all think! As the Tour de France is kicking off this weekend, I have something a little different using one of the older boy stamps, Riding My Bike. I decided to go a little vintage and use a resist technique on the image rather than the traditional colouring in! 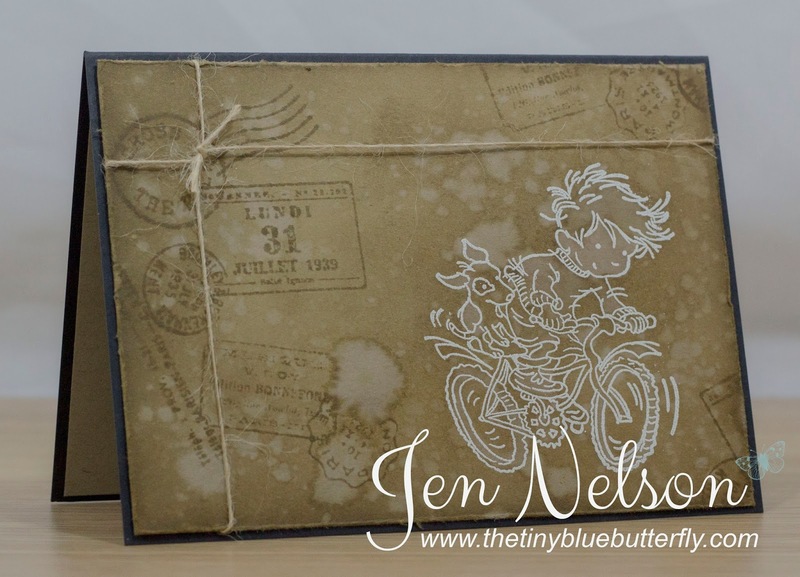 I've used antique linen and frayed burlap distress inks to age the card and then a few splashes of water. 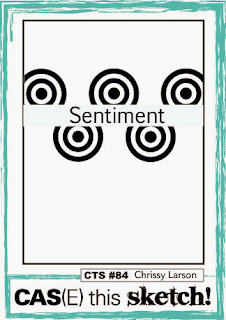 It's finished off with sentiment from the Greetings Postmark set and Grunge Elements set. A little bit of twine finishes off the look of the parcel! I simply used embossing paste on a section of a dotty stencil (sorry not a clue where from) and then layered some banners over the top. The sentiment and journal plate is from the new CBS Journal It set. It's simply finished off with some wooden stars from Calico Studios. I did try and follow the sketch from this weeks Freshly Made Sketches as it's been a while since I've been able to enter. A day of painting my brothers house is ahead of me... It needs a lot more work or tarting up than we originally thought so we have decided to get it done before moving in so it's all sorted! Morning...Only one more day until the July release at Clearly Besotted and it's another teaser for you! 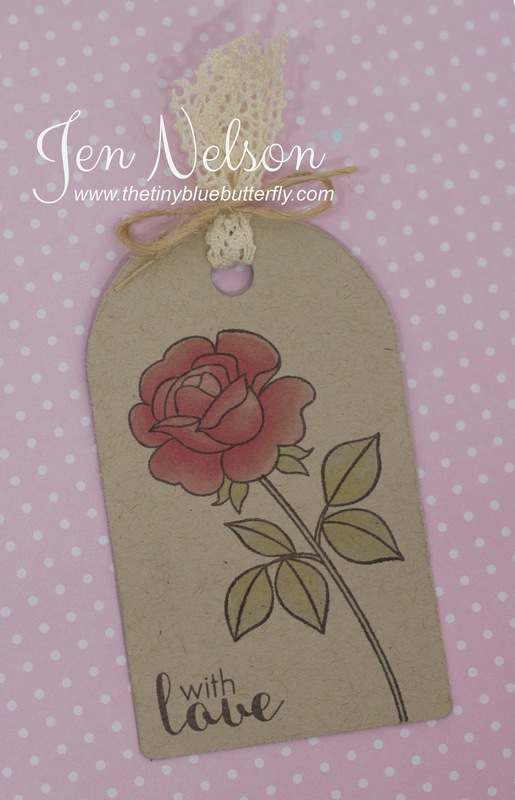 I've made a little tag today instead of a card using the Sweet Rose set. I think this will be a popular set.. The flowers are simply gorgeous!! I've not used my alcohol ink pens for a while now but have a new love for them with this neenah desert storm card stock... I simply finished it off with some lace ribbon and a bit of twine! My brother gets his keys at some point today so busy helping him move!! Morning.. so it's another day of teasers for Clearly Besotted and today I thought I would make something a little different with one of the sets... 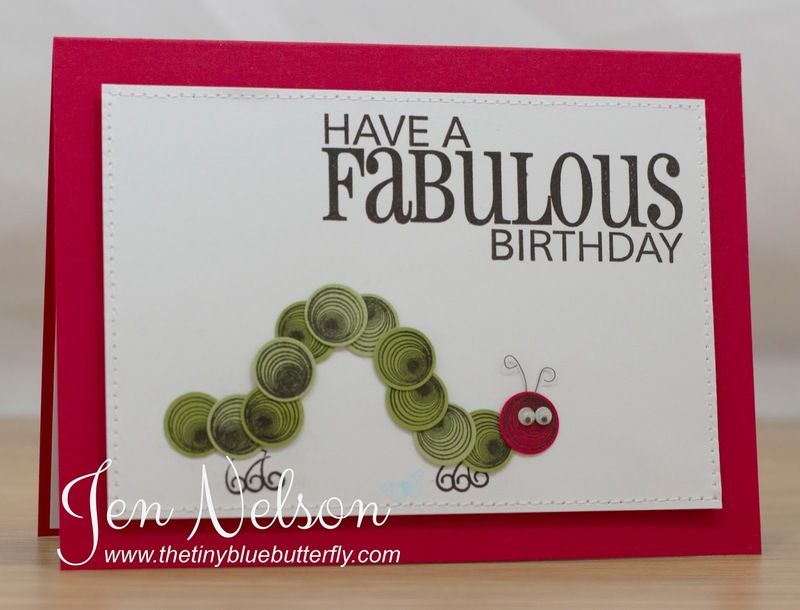 Simply Quilled! How cute is this little guy? Obviously inspired by a certain children's book ... This set is perfect for making up little creatures!! I have also used the sentiment from the flights of fancy set! My brother completes on his new house tomorrow so today we are busy sorting and packing stuff out.... Fun day ahead!! Have a great Thursday and make sure you visit the rest of the fabulous CBS design team to see what they have all been up to! Morning.. 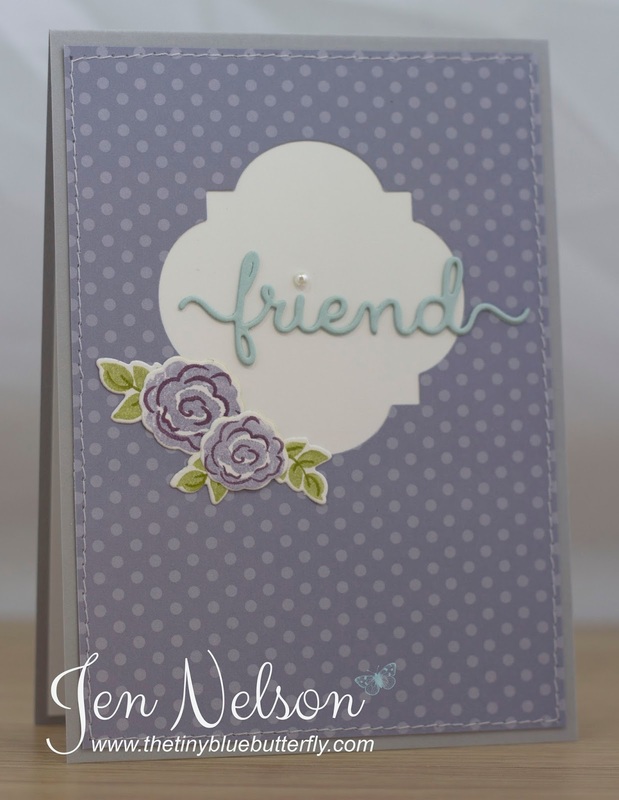 It's day 2 of the teasers at Clearly Besotted stamps and today I have used the stunning "Flights Of Fancy" and a sentiment from "All Occasions Sentiments". I stamped a random selection onto some watercolour card and then coloured them in using Inktense pencils. 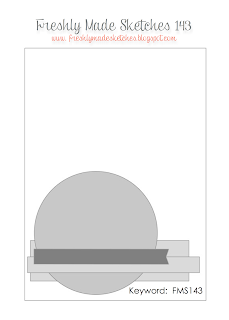 I then used this to create some panels for are few cards..
Friends.. A Little Teaser for You! Morning... 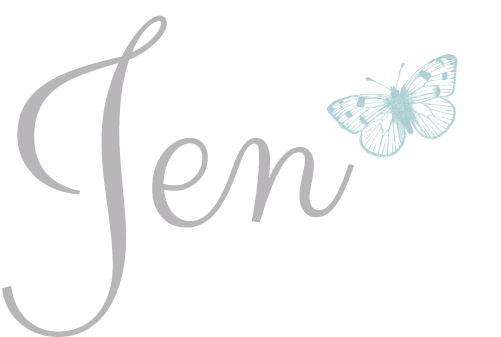 I am absolutely delighted this month to be joining the fabulous Stephanie and the rest of the design team for the July launch over at Clearly Besotted Stamps.. I'm sorry the photos are shocking.. think I need to re-set my camera as no matter what I do I can't get them right at the moment! Hope you have a fabulous day and make sure you pop over and see what the rest of the design team are teasing you with today!